Once again on the third Monday in January, much of the nation will mark the anniversary of the death of the late Rev. Dr. Martin Luther King, Jr. Countless programs and events will no doubt recall several of his famous speeches from the 1963 March on Washington’s “I Have A Dream” to his “I’ve Been to the Mountaintop” delivered in Memphis during the 1968 sanitation workers’ strike. In a life span of only 39 years, King captured global attention in his valiant, nonviolent fight for the values of freedom, justice, and equality. Preaching and fighting for long overdue citizenship rights first promised to all in the Declaration of Independence, he championed economic justice — especially for Blacks to have safe, decent, and affordable housing. He also called for full participation in the economy, and an end to financial exploitation. Now 51 years since his assassination, his words still strike a resonant chord. His words — written as prose, but markedly poetic — remain as timely as they are timeless. “There are so many problems facing our nation and our world, that one could just take off anywhere,” King said in a speech delivered on April 14, 1967, at Stanford University. In his inimitable Baptist cadence, King then went on to speak of the “other America” that was equally real but far removed from the commonplace privilege associated with Stanford. “Little children in this other America are forced to grow up with clouds of inferiority forming every day in their little mental skies. As we look at this other America, we see it as an arena of blasted hopes and shattered dreams,” said King. In 2019, the two Americas King wrote about still remain. A nation once lauded for its enviable and expanding middle class has evolved into a nation of people who are either growing wealthy or growing poor. In this unfortunate process, the nation’s envied middle class is vanishing. Historically, homeownership has been a reliable measure of the nation’s middle class. Late last year, it stood at 64.4 according to the Census Bureau. Yet when race and ethnicity are added, who owns a home today discloses a far different picture. White homeownership was higher than the national average at 73.1 percent. But Blacks still suffering from the financial losses from the now decade-old foreclosure crisis had a homeownership rate of 41.7 percent, lower than its pre-housing crisis rate of 47.7 percent. Today’s Black homeownership resembles the same levels experienced at the time of the 1968 Fair Housing Act’s passage. Housing also remains troubled for renters. 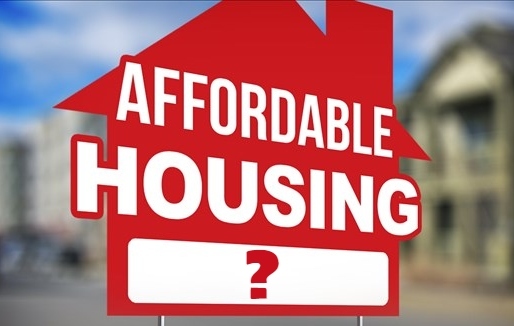 According to the National Low-Income Housing Coalition, the nation lacks more than seven million affordable rental homes that affect 43.8 million families. Moreover, 11 million families pay more than half of their income on housing and are considered severely-cost burdened. As of January 3, over 1,100 HUD contracts with landlords for its Section 8 rental voucher program expired. By February, another 1,000 more contracts are expected to expire. The federal shutdown has already surpassed the 1995 shutdown record of 21 days. At press time, the stalemated federal government shutdown continued, leaving millions of people uncertain about their lives, or livelihoods or both. While landlords and HUD figure out the paperwork, 1.2 million families relying on this vital rental support program remain at risk. Also caught in partisan bickering of a federal government shutdown are men and women — the military and civil servants — whose service to the country is deemed so essential that they must continue to work without knowing when another paycheck will arrive. Another 800,000 furloughed federal workers may be at home; but like others affected by the shutdown, they too, still need to pay their rent or mortgage, honor their financial obligations and take care of children as best they can. When times are tough financially, a range of predatory lenders seize opportunities to tempt those who are hard-pressed for cash with interest rates on loans that would make a bookie blush. They offer loans of a few hundred dollars with interest payments that double or triple the cash borrowed to those with few or no financial options. Those who are unpaid or underemployed — those who are working, but failing to earn a salary comparable to their education and training, student loan repayments can take a financial backseat to housing, utilities, or other daily living needs. This year, may we all honor King and do our respective efforts to make America live up to its promise of opportunity for all. Charlene Crowell is a contributor for NNPA Newswire and communications deputy director for the Center for Responsible Lending. She can be reached at charlene.crowell@responsiblelending.org.